Idaho is currently being rocked by a series of earthquake since September 2, 2017. 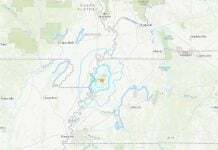 The most powerful quake in the swarm is a M5.3 earthquake hit about 17 miles east from the city of Soda Springs, Idaho. It was felt 200 miles away in Salt Lake City. 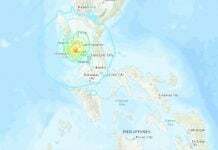 A M5.3 earthquake rocked Idaho on September 2 2017 with tremors felt 200 miles away. 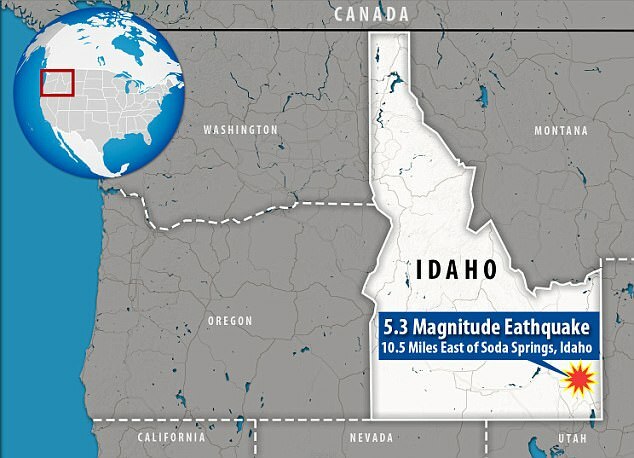 Idaho is rarely associated with earthquakes. But on September 2, 2017, a M5.3 earthquake hit near Soda Springs. 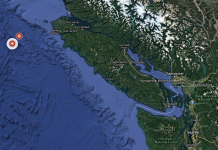 The tremor was followed by at least 51 aftershocks, which were felt as far away as Salt Lake City, Utah, 200 miles away. There are no reports of injuries or damages. 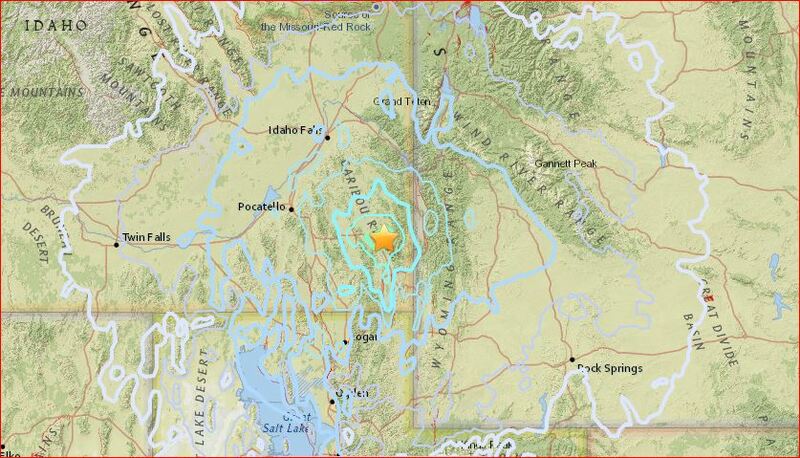 The epicenter of the M5.3 quake in Idaho is situated 165 miles from the Yellowstone National Park. 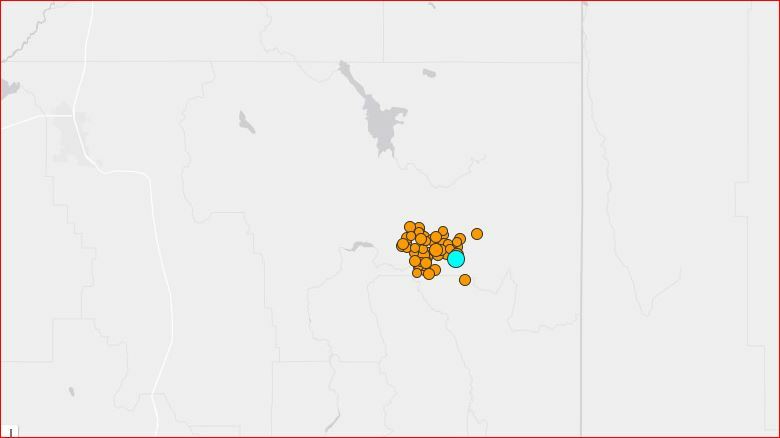 So this intense seismic activity is weird knowing that Idaho is only 165 miles away from Yellowstone National Park, which has had an impressive 2,300 earthquakes in the last 3 months. Is there something heating up there?